Demandbase is a leading Account Based Marketing (ABM) technology company, featuring targeting and personalization tools that recognize account-based buying signals. Demandbase acquired data science company Spiderbook in 2016, expanding its ability to help B2B sales and marketing identify and engage highly qualified leads at key B2B accounts. 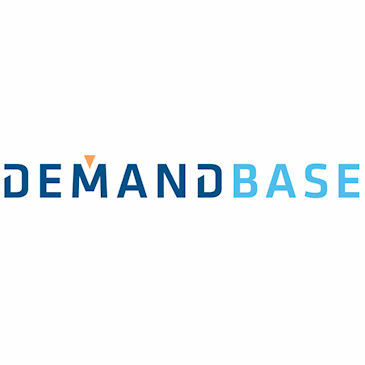 Demandbase ABM Platform makes it easy to build target accounts from CRM data, by uploading a preexisting account list, or by leveraging buyer intent signals generated by the only AI-powered ABM platform that learns from 50 billion B2B interactions every month. Marketers can further segment and manage these audiences by a number of firmographic variables such as industry, size, location and others. Updated with a new Targeting Solution that leverages Artificial Intelligence-powered intent data to more accurately identify and reach target buying committees. Demandbase's Real-Time Intent identifies the interests of accounts and buyers at the beginning of the online research stage and then automatically triggers sales and marketing actions throughout the entire ABM funnel. The new Real-Time Intent technology will help companies discover accounts interested in products and services, create hyper-targeted ads, improve sales intelligence, and personalize website content at scale at the account level. Real-Time Intent uses artificial intelligence technology, giving B2B companies a head start on the buying cycle and making B2B signals more actionable.